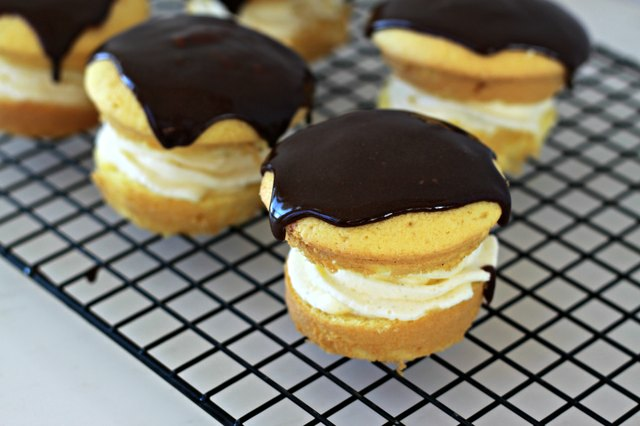 You'll never believe how simple it is to transform three store-bought ingredients into the richest, creamiest personal Boston Creme Pies of all time! Just follow the simple steps below. Prepare your yellow cupcake mix, per instructions on the box. 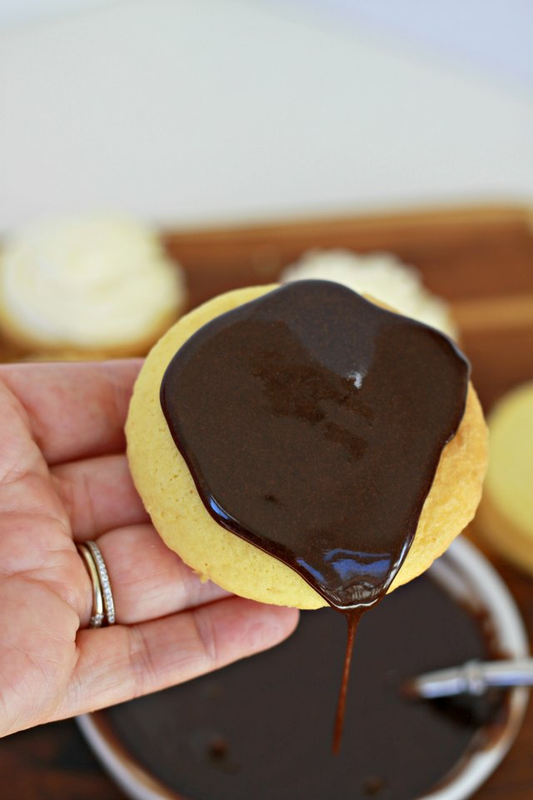 Fill greased cupcake pans three-quarters full and bake at 350 degrees F for 18 minutes. 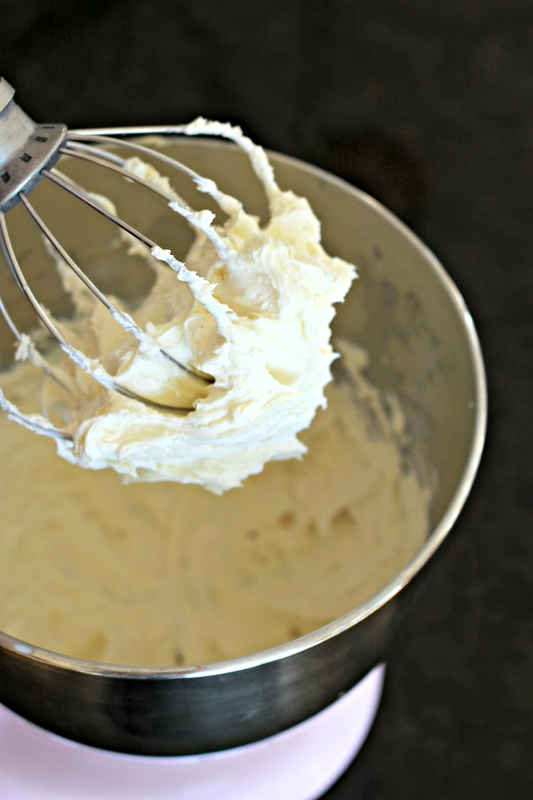 Substitute whipping cream for milk and whip your instant pudding mix for 2 minutes. For a flavor boost, add a teaspoon of pure vanilla extract to your custard mix. Allow cupcakes to cool, approximately 30 minutes. 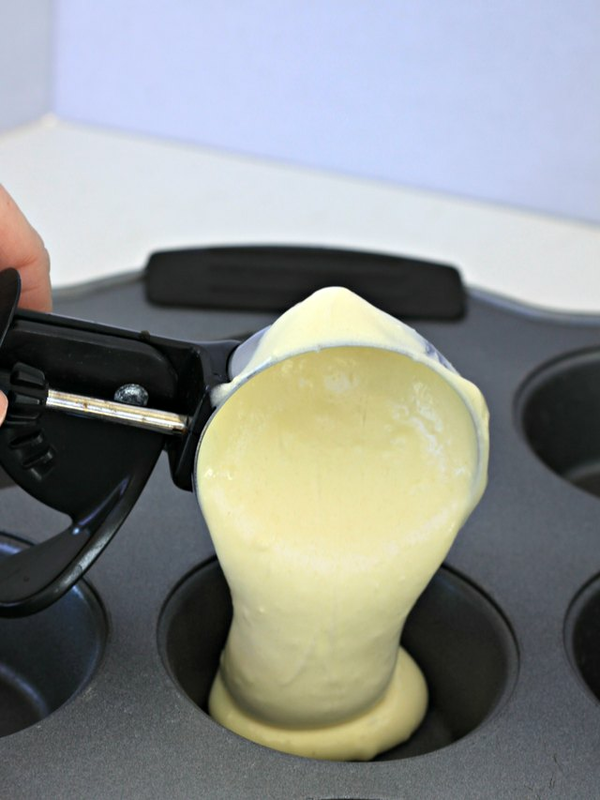 Cut horizontally and use a pastry bag or tool to pipe a thick layer of vanilla custard filling. To make an instant ganache, simply scoop a can of store-bought chocolate frosting into a microwave-safe bowl and microwave in 10-second intervals until it's just soft. Use a spoon to ladle a bit of chocolate on top and allow to set for about 10 minutes before assembling. 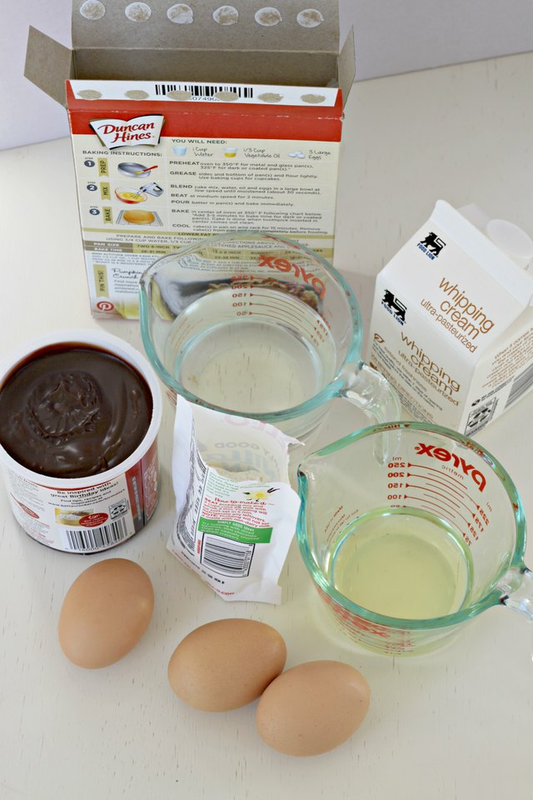 Making ganache from scratch is also very easy! Just pour 1 cup of very warm heavy cream over 8 ounces of semi-sweet chocolate in a large, heat-proof bowl and stir. 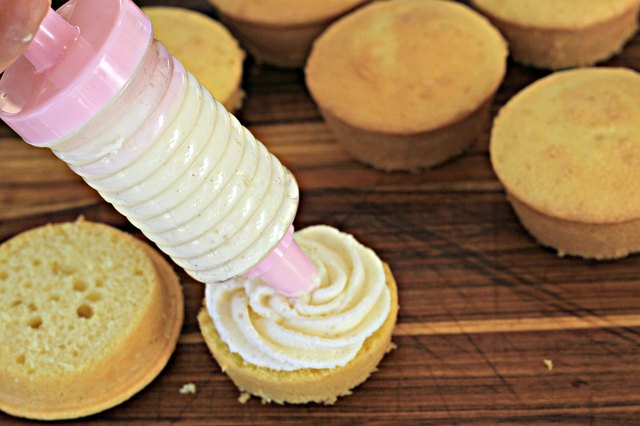 If your frosting gets too runny, just pop it in the fridge for about 10 minutes to let it firm up. Place a glazed top on each bottom with a thick layer of cream in between. Store in a covered container and refrigerate.